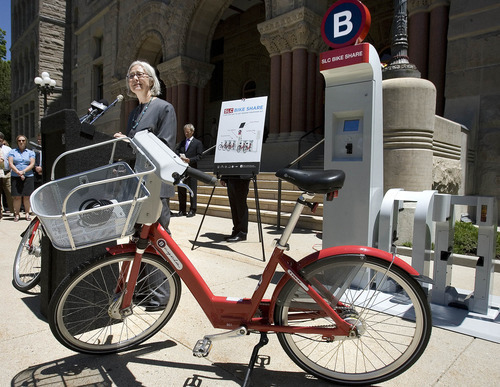 Starting in March, riders will be able to tool around town on borrowed wheels. 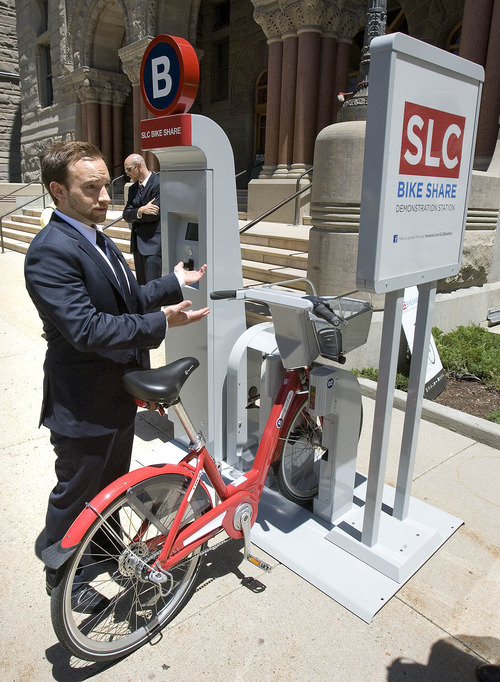 Paul Fraughton | The Salt Lake Tribune Ben Bolte, bike share project manager, demonstrates how to use a bike-share station on Tuesday, June 19, 2012. The Salt Lake City program expects to kick into gear in March 2013. Paul Fraughton | The Salt Lake Tribune Patricia Richards,CEO and president of SelectHealth talks about her company's sponsorship of Salt Lake City's bike share program on Tuesday, June 19, 2012. 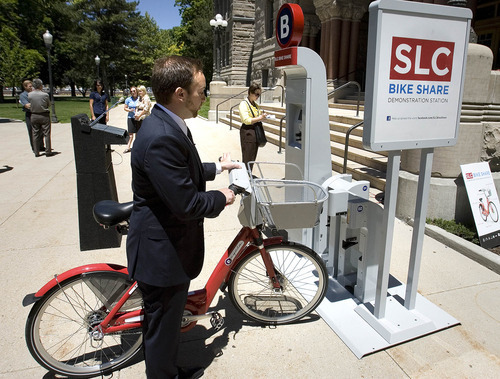 Paul Fraughton | The Salt Lake Tribune Ben Bolte, bike share project manager, demonstrates how to use a bike-share station on Tuesday, June 19, 2012. The Salt Lake City program expects to kick into gear in March 2013.